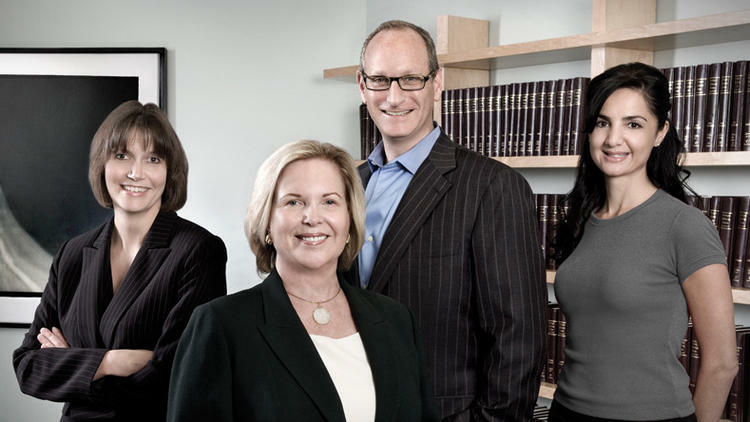 Harris • Ginsberg LLP is one of the most respected family law firms in Southern California. Specializing in high net-worth and complex family law matters, the 12-lawyer firm provides unparalleled service to a wide range of clients. “We bring a strength to the legal process that empowers our clients to achieve the best possible results while maintaining integrity for themselves and their family,” says Larry Ginsberg. With offices in both Los Angeles and Pasadena, the firm specializes in all aspects of family law and strives to adapt the process to fit each client’s needs. No matter the situation, Harris • Ginsberg LLP provides strong legal representation. The firm commands the highest respect among its colleagues and the family law bench, and it is known for its ability to work through all available means to achieve the best result. Ginsberg and Harris are fellows of the American and International Academies of Matrimonial Lawyers and are AV rated® by Martindale-Hubbell. In addition, partner Fahi Takesh Hallin is a fellow of the International Academy of Matrimonial Lawyers. Ginsberg, Harris and partner Andrea Balian are Certified Specialists, Family Law, State Bar of California Board of Legal Specialization. All four partners were selected for inclusion in this year’s edition of The Best Lawyers in America®, and Ginsberg, Harris and Hallin have all been named Southern California Super Lawyers by Los Angeles Magazine for the past several years. The firm and many of its lawyers are involved in public interest and charitable organizations that provide pro bono family law and domestic violence legal services, including the Harriett Buhai Center for Family Law.